1. 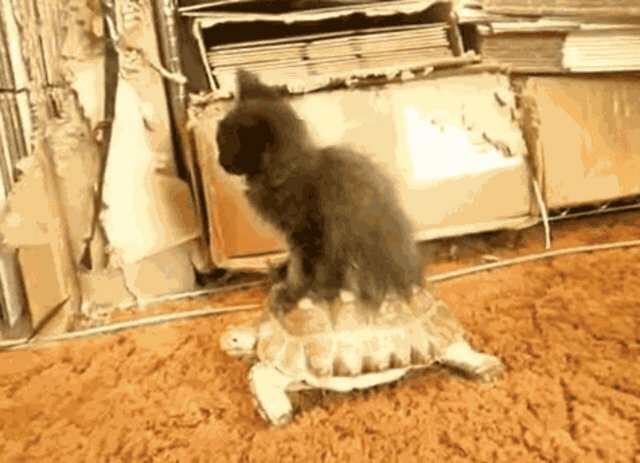 This kitten harnesses turtle power. Slow and steady wins the race! Sure, a turtleback ride may not be the quickest mode of transportation, but it's reliable. 2. 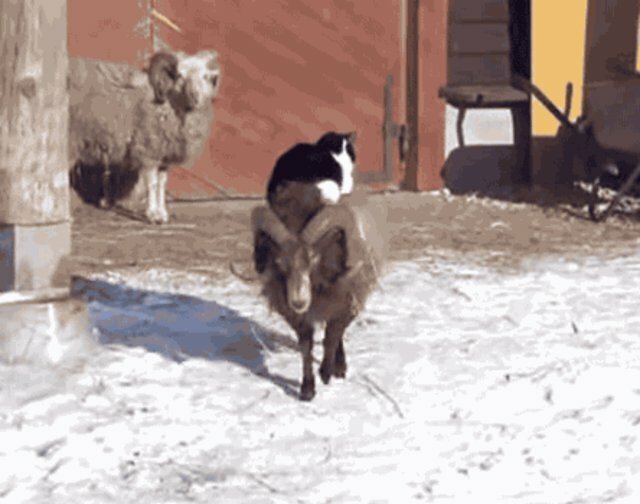 This cat chooses wool for a cushy ride. For warm and well-cushioned transportation on a snowy day, there's really no other way. Choose comfort. Choose a sheep! 3. This tabby goatally knows where she's going. Traveling by goat remains an underused form of transit, but it can be quite efficient. 4. 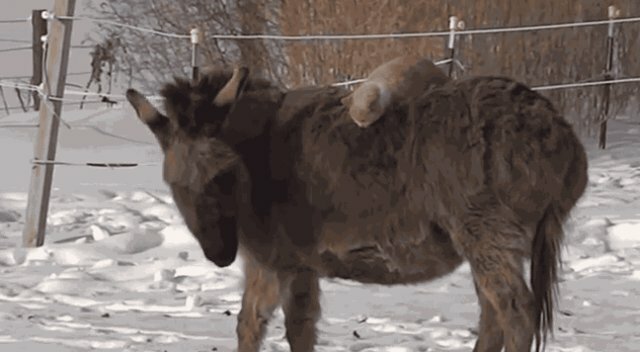 This fine feline knows that donkeys are a classic for a reason. Donkeys have been used for transportation purposes for thousands of years. Why mess with a good thing? 5. This cat-canine combo conquers the city. On a trusty steed like this canine, there's only one destination: adventure. 6. 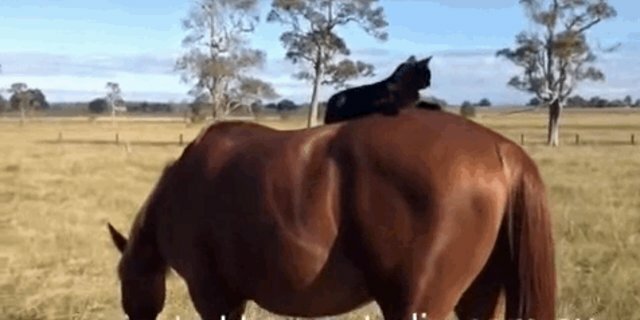 This cat is riding a horse, of course. A horse provides the proper height for those panoramic views that make any journey memorable. 7. 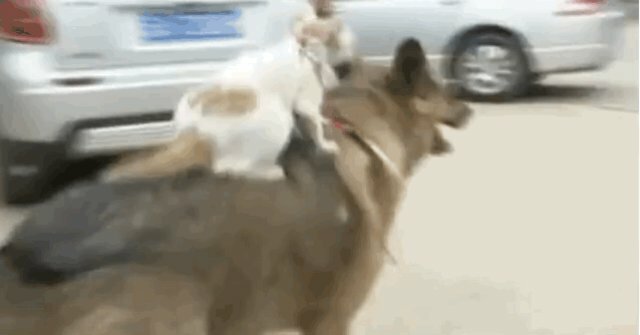 This cat takes piggyback rides literally. Although perhaps not the best smelling option, pigs provide that sturdy reliability you can depend on to get where you're going. 8. These kittens prefer mass mutt transit. You'll look sweet upon the seat of a shaggy dog built for two! 9. 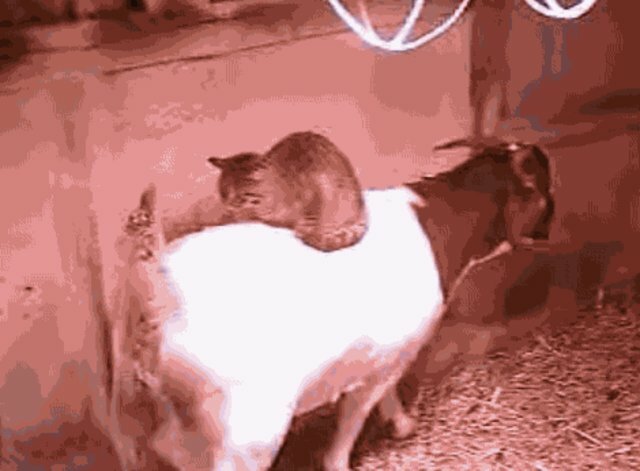 This cat cycles on the shoulders of greatness. Bicycles are the purrfect green clean way to navigate city streets. Humans are an optional accessory.